In general, we collect Personal Information that you submit to us voluntarily through OPTIZMO™. We also collect information that you submit in the process of creating or editing your account and user profile on OPTIZMO. For example, our registration and login process requires you to provide us with your name, valid email address and password of your choice. Use of some of our services may require you to save a delivery or billing address. When you personalize your profile and use the features of OPTIZMO, we will collect any information you voluntarily provide, and we may also request optional information to support your use of OPTIZMO, such as your year of birth, gender and other demographic information. We collect information in the form of the content that you submit during your use of OPTIZMO, such as affiliate/publisher contacts; billing contacts, account administrative contacts and other information you choose to submit. We may also collect information about you and your affiliate partners who use OPTIZMO from any access key or secure login you may have connected from, in order to provide you with a more personalized experience. For instance, we may collect your user name or profile information that you have permitted to be displayed through OPTIZMO in order to display you as a friend or in association with your profile and system logs. To enable payment for services purchased through OPTIZMO, we collect and store billing and credit card information. For example, when you sign up for an account, you submit your credit card or other payment information so that OPTIZMO can process your payment for the services rendered and any ancillary fees associated with the account that you have authorized. If you choose to sign up to receive information about products or services that may be of interest to you, RSVP for an OPTIZMO event, or sign up for a newsletter either directly or through an OPTIZMO affiliate, we will collect your email address and other related information. Additionally, we collect any information that you voluntarily enter, including Personal Information, into any postings, comments or forums within the OPTIZMO community. We may receive Personal Information about you from other sources with which you have registered or interacted, companies who we have partnered with (collectively, ‘Partners’) or other third parties. We may associate this information with the other Personal Information we have collected about you. If you send an email to us, or fill out our ‘Feedback’ form through OPTIZMO, we will collect your email address and the full content of your email, including attached files, and other information you provide. We may use and display your full name and email address when you send an email notification to a friend through OPTIZMO. Additionally, we may use your email address to contact you on behalf of your affiliates or to send notifications from an OPTIZMO messaging system or other website with which you have registered to receive such notifications. We may also use your email address to contact you for things such as notifications of limited time promotions, new product updates, and other related information. You may indicate your preference to stop receiving further promotional communications as further detailed below. If you use mobile-enabled services provided by OPTIZMO, such as any OPTIZMO mobile application made available by us, we may receive information about your use of our services from your mobile device while you use our applications or services. Certain applications or services may also require addition information collection, such as information to be sent when you are not logged into OPTIZMO for alerts services, and the terms of such collection will be identified when you subscribe to or sign up for such services or applications. Certain information you post or provide through OPTIZMO for public posting, such as testimonials, names, and company brands may be shared with other users and posted on publicly available portions of OPTIZMO, including without limitation, social media applications and other public fora in which you choose to participate. Please keep in mind that if you choose to disclose Personal Information when posting comments or other information or content through OPTIZMO, this information may become publicly available and may be collected and used by others, including people outside the OPTIZMO community. Please also be aware that if you choose to share or tweet deals or your purchases, they will become publicly available on the Facebook and Twitter websites. It is up to you to make sure you are comfortable with the information you choose to provide us and the information you choose to publish. We will not have any obligations with respect to any information that you post to parts of OPTIZMO available to others, and recommend that you use caution when giving out personal information to others through social media networks or otherwise, especially when the information provided is of a sensitive or contractual nature. In general, Personal Information and other information you submit or share with us is used for the following purposes by OPTIZMO: to enable your access to our services; to provide, maintain, protect, develop and improve OPTIZMO; to fulfill your requests for products and services; to customize the content you receive from us and our trusted partners; and to offer you additional information, opportunities, promotions and functionality from us or on our behalf, or from our partners at your request. We offer you choices regarding the collection, use and sharing of your Personal Information. You have a right at any time to stop us from contacting you for marketing purposes. 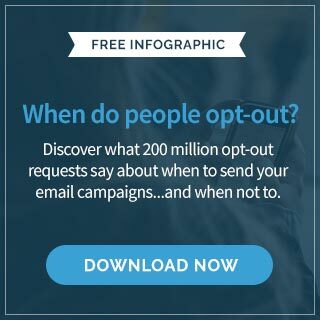 When you receive promotional communications from us, you may indicate a preference to stop receiving further promotional communications from us and you will have the opportunity to ‘opt-out’ by following the unsubscribe instructions provided in the promotional email you receive or by contacting us directly at privacy@nulloptizmo.com. Additionally, if you use other social media services in connection with OPTIZMO, the providers of these services may provide you with additional choices concerning the types of data shared with OPTIZMO. OPTIZMO respects enhanced user privacy controls. We support the development and implementation of a standard “do not track” browser feature, which is being designed to provide customers with control over the collection and use of information by third parties regarding their web-browsing activities. At this time OPTIZMO does not respond to DNT mechanisms. Once a standardized “do not track” feature is released, OPTIZMO intends to adhere to the browser settings accordingly. Except as otherwise described in this statement, personal information you provide on the Site will not be shared outside of OPTIZMO without your permission. To the extent we are legally permitted to do so, we will take reasonable steps to notify you in the event that we are required to provide your personal information to third parties as part of legal process. OPTIZMO does not direct its websites to children under the age of thirteen. We market business-related products or services for purchase by businesses and/or the adults representing a specific business function. Protecting the privacy of children is very important. If we obtain actual knowledge that a registered user is under eighteen, we will promptly delete information associated with such account. By using OPTIZMO, you are representing that you are at least eighteen years old. You have the right to request a copy of the Personal Information that we hold about you. If you would like a copy of some or all of your Personal Information, please contact us at privacy@nulloptizmo.com. We may charge a reasonable fee for this service. We want to make sure that your information is accurate and up-to-date. You may ask us to correct or remove information that you think is inaccurate. You may change any of your profile information by editing it in the profile settings page. Personal or other information about you collected on OPTIZMO sites and services may be stored and processed in the United States or any other country in which OPTIZMO or its affiliates, subsidiaries and services providers maintain facilities. OPTIZMO complies with the U.S.-EU Safe Harbor Framework as set forth by the U.S. Department of Commerce regarding the collection, use and retention of information from European Union Member Countries. To learn more about the Safe Harbor program, please visit the Safe Harbor Website. If you are a California resident, you may request that we provide to you (i) a list of the categories of personal information about you that OPTIZMO has disclosed to third parties for the third parties’ direct marketing purposes during the calendar year preceding your request, (ii) the names and addresses of such third parties, and (iii) if the nature of the third parties’ business cannot reasonably be determined from their names, examples of the products or services marketed, if known to OPTIZMO, sufficient to give you a reasonable indication of the nature of the third parties’ business. To submit your request, please email privacy@nulloptizmo.net.